Over 60 minutes of recording tips! Are you getting the most out of your overhead drum sound? Mastering Overheads MasterClass is the most comprehensive video series on the market. 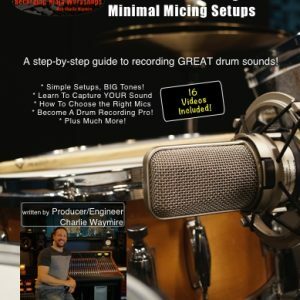 In this 60+ minute series Engineer Charlie Waymire demonstrates techniques you need to know to in order to get the most out of your overhead drum sounds. In this 5 part series you'll learn mono techniques, coincident and spaced pair techniques, EQ tips, phase relationships, how to use different mic types, plus Charlie's personal setup, and much more! 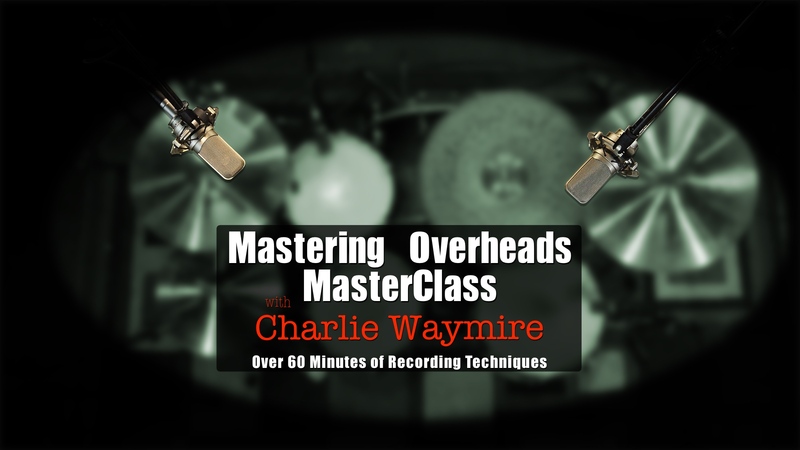 Overheads can be the key to recording your dream drum sound. If you have the right mics, in the right position, you’ll likely end up with a great sound that helps enhance your music. If you don’t…..you’ll likely end up with a sound that hurts more than helps. In each video Charlie breaks down specific techniques in great detail. Mastering Overheads is all about educating you about how different setups and microphones sound so you can make good sonic decisions for you music. That’s why each setup is thoroughly demonstrated with a comprehensive breakdown from Charlie.